Advertisers (companies or individuals) pay every time one of their ads is clicked by a user. Ok so he’s a little bit salesy at times, but the man knows what he is doing. If you want to learn about PPC ads, you need his book ‘The Definitive Guide to Adwords’ which I devoured (twice) as well as following his blog, email courses and webinars until I felt confident enough to understand Click through rates, keywords, the search network and so on like the back of my hand. Once my Google Adwords campaigns were set up, I replicated them on a smaller level on the Search Engines Bing and Yahoo!. Once the campaigns are set up they still take a lot of testing and tweaking to make your ad campaigns work efficiently and you are getting the most bang for your buck. Google still seems to be the search engine of choice for most peops so I concentrated my efforts here and scrapped Bing and Yahoo after a couple of months. I used Google Adwords to market the GMAT preparation book, and though these ads remain expensive (around $.50-$.75 per click), it brings us at least half of our traffic – and that traffic has a high conversion rate. That’s an important point. People who see our ads are already high up the buying funnel – in other words they are actively searching/ shopping for a GMAT preparation guide, so the ads hit them when they already have one hand in their pocket ready to drop some moolah. It’s taken a whole 15 months of experimenting, but I have been won over by PPC. I tried using paid ads briefly for my wedding planning guide, but since the price tag is half that of the GMAT book ($15 vs $30), and people don’t generally shop for this kind of book, it wasn’t making the money back and so I have stopped them for now. Or, for a low competition subject – where ads are really cheap, yes. The GMAT industry is highly competitive but conversion rate is high. For less competitive industries you might still be able to make your money back with a lower conversion rate. If you can tweak your keywords so that ads only show when people are specifically searching for your book (i.e. GMAT preparation book vs. GMAT test prep which is much broader – it includes tutoring and courses) then your conversion rate – and return – will be much higher. Google Ads often offer $75 free vouchers. Look around for them and try it for yourself to see if you think it will be a good fit for your title and genre. 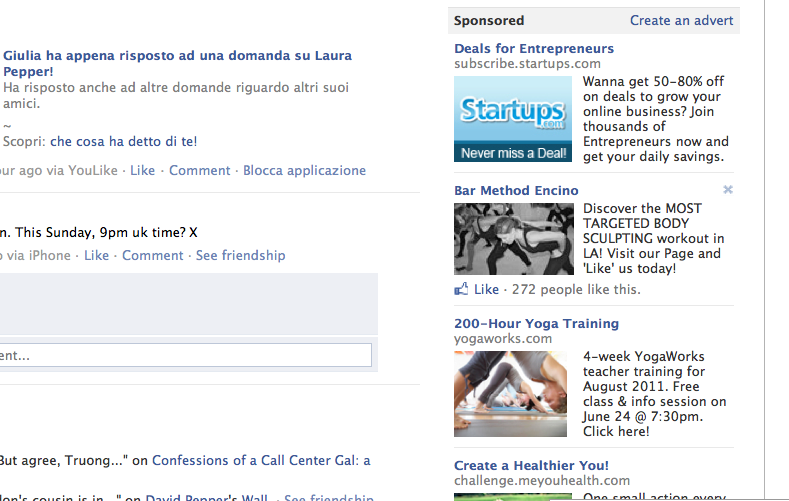 However FB ads work very differently to Google Ads. Since people see Google Ads when they are searching for something proactively (they are on a search engine afterall) Facebook Ads target consumers when they are leisurely browsing friends photos, profiles or checking their messages. You have to distract them from their leisure time and that’s a different ball game altogether. Most likely for this reason, using Facebook Ads for the GMAT book did not work at all. Who wants to think about test preparation when they are reading their messages or chatting to an ex online?! Plus, while we could target people who already ‘Liked’ GMAT fanpages or were working for businesses that we thought might attract prospective MBA folk, it was harder to target people who were definitely intent on taking the GMAT and our click through rate was low. I soon scrapped this attempt. For the wedding book however, FB ads works amazingly well! I have the ability to target women between the ages of 22-35, living in the US, who are engaged. I can even target women who list ‘reading’ or ‘books’ as their hobby. How amazing is that?! Women who are engaged (and change their status to reflect this on FB) and like reading are of course interested in a wedding book, and are easier to distract too, since it’s a topic that remains fun for them. So do FB ads work? My broad, unhelpful answer is ‘case-by-case’. If your subject is leisure related or ‘fun’ (as I like to think a wedding planning book is) then yes. If your book is more serious, then people who are relaxing online may not take the time to allow your ad to distract you. As authors we need to get over this fear of shouting about our products – it’s the only way we can get heard from over the noise. I’d love to hear if PPC worked for you, whether you are interested in starting them, or if you never care if you never see another one again.